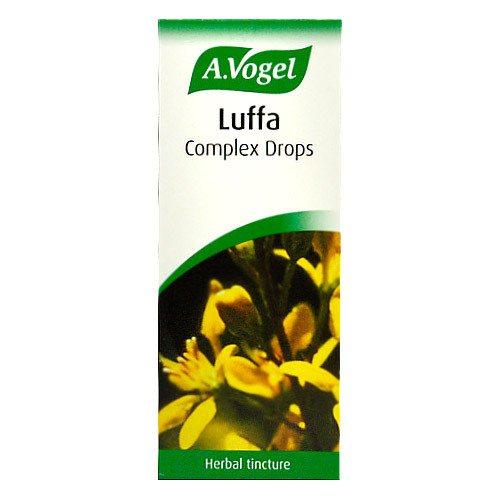 A Vogel Luffa Complex Herbal Tincture may help cleanse the nasal passages of pollen and other allergens such as dust. It is a medical device in an isotonic solution containing seven tropical herbs. It also restores fluid and moisture in the nasal passages, making the nose feel soothed and more comfortable. Contains 50ml of A Vogel Luffa Complex Herbal Tincture. Adults: Take 20 drops 2 to 3 times daily in a small amount of water. Children (2-12 year): This product is not recommended for children. Below are reviews of A Vogel Luffa Complex Drops - Tincture - 50ml by bodykind customers. If you have tried this product we'd love to hear what you think so please leave a review. A Vogel Luffa Complex Herbal Tincture may help cleanse the nasal passages of pollen and other allergens such as dust. It is a medical device in an isotonic solution containing seven tropical herbs.